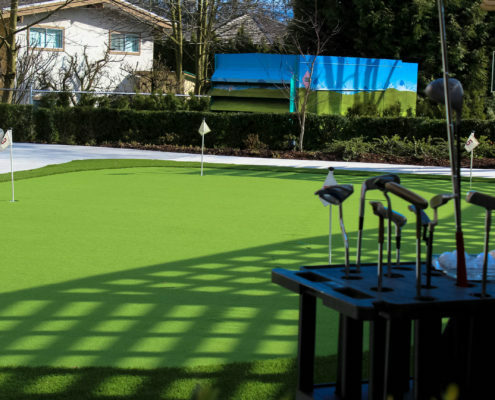 Putting Green and Lawn Bowling! 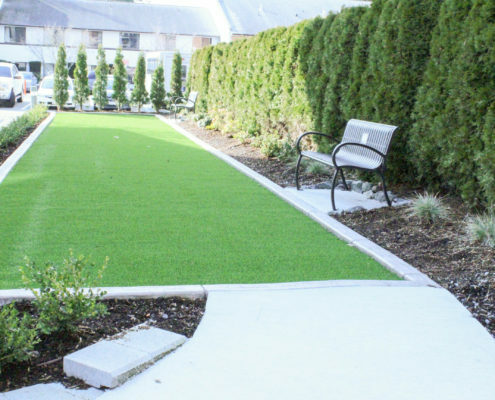 The newest feature on the Menno Place Campus is our 9-hole putting green course and lawn bowling alley! This beautiful outdoor space was made possible by generous donors from the Menno Place community. 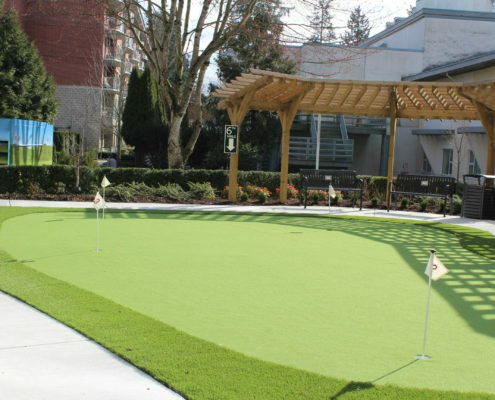 The putting green has provided a space for residents to get outside, to exercise, to play with their grandchildren, and socialize with others in the community. 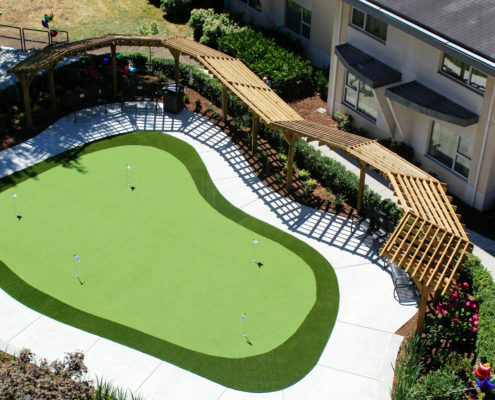 The 9-hole course is located behind the Primrose Gardens Apartments in the middle of the Menno Place Campus. 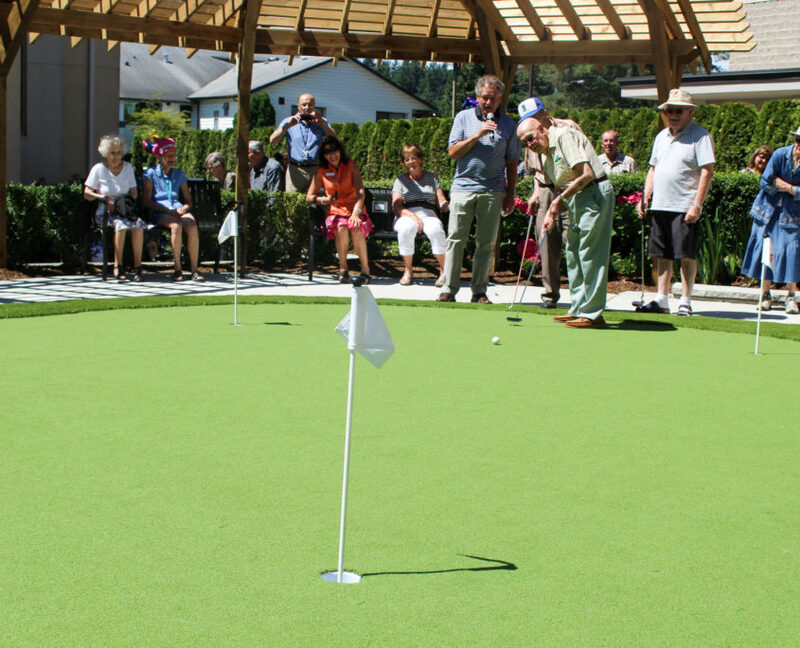 You are more than welcome to join a loved one who lives at Menno Place for a round of putting or a quick game of lawn bowling. If you come to visit a family member or friend, simply ask any one of our staff, and they will gladly point you in the direction of the Putting Green! Fully wheelchair accessible, our 9-hole course is for people of all ages! The first five holes are on the upper level, next to the back patio of Primrose Gardens. Once you have played through the first five holes, your ball will drop through a pipe and reappear on the bottom level of the course. You can follow the golf ball via a ramp that leads to the last four holes. There are numerous benches located next to the putting green, for those who want to watch, or can not walk for the entire round. Putters and golf balls are kept on a cart next to the putting green. These are free to use, but please make sure to put them away when you are finished. 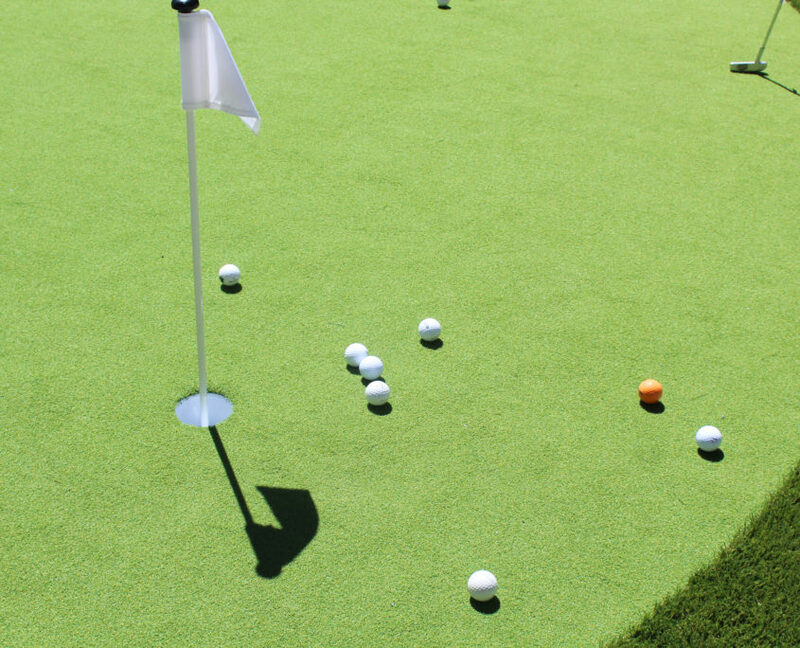 The flags in each hole are attached to a cup, so that you do not have to bend over to retrieve your ball. The receptionists in each apartment building have extra score cards if your game gets competitive!